A Paddler’s Guide to the Schuylkill River Water Trail has been recognized with two international awards! Judges’ comments: “A thorough, usable guide for planning and executing a trip along the river – appeals to everyone with lots of associated information, clearly laid out, good clear photography and labels. Maps have all associated contextual information. A very useable guide. The map meets the intended use and portrays a lot of information to plan a river trip. Clear mapping. 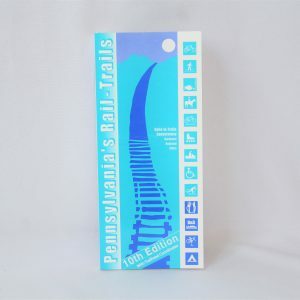 Good use of mapping within a wider setting – very much enhanced by the explanatory text.” The award winning guide consists of an informative, spiral-bound, 20-page booklet and a portfolio of feature-rich, detailed, tri-fold maps of the 18 sections of this 115-mile water trail flowing through southeastern Pennsylvania. 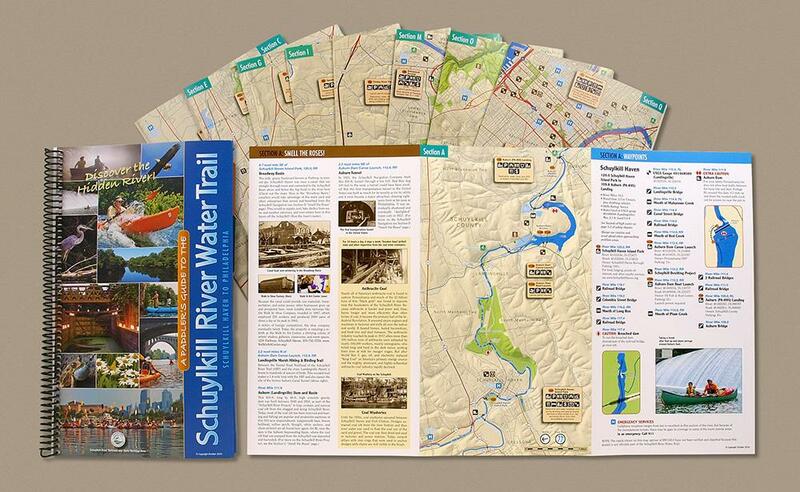 This comprehensive guide, printed on waterproof, highly-durable synthetic stock, was written and designed to help the first-time visitor or the seasoned Schuylkill veteran discover, explore, and enjoy this remarkable river as well as its riverside communities, attractions, and significant and colorful history. Click here for detailed look at guide features. Get your copy today! All this for only $40.00 (includes PA sales tax)! 10% discount for SRGA members*. “I am unaware of any other publication that does as great a job as a guide to the water and to the area and as preparation for & encouraging of river paddling. This guide is definitely the gold standard!” Allan Quant, Schuylkill River Sojourn Guide and owner of Canoe Susquehanna. Released in December 2016, “A Paddler’s Guide to the Schuylkill River Water Trail” was published by the Schuylkill River National and State Heritage Area and designed by avid paddler Brian Swisher, with the cooperation and assistance of a host of individuals and groups from the paddling community, government agencies, environmental non-profits, community organizations, photographers, illustrators, writers, and more. We would like to acknowledge and heartily thank all those who contributed to this epic endeavor! *Discount is for current SRGA members only. Please use discount code srhamember at checkout. Not sure if your membership is up to date? Call us at 484-945-0200.